Ankle sprains are one of the most common injuries. They can happen to anyone, not just athletes. Even a simple misstep can injure your ankle during everyday activities. Understanding the types of ankle sprains can help you recognize symptoms and seek help to heal your ankle as quickly as possible. A sprained ankle is caused by any activity that stretches or tears the ligaments in the ankle. Strong ligaments stabilize the joint and maintain balance while standing, walking, and performing physical activities. Even something as simple as stepping off a curb can cause an injury. You do not have to be performing strenuous physical activity to sprain your ankle. There are three degrees of ankle sprains. The type of sprain you’ve sustained will determine your treatment options and recovery time. First degree ankle sprains are the mildest. In most cases the ligament has been stretched but has not torn. You may experience minor pain and some stiffness or swelling. Second degree ankle sprains typically involve a partial tear of the ligament. This is the most common type of ankle sprain and is characterized by moderate pain in addition to swelling, bruising, and some difficulty with movement. Third degree sprains occur when the ligament has torn completely. This is the most severe type of sprain, and typically involves immense pain, swelling, loss of motion, and joint instability. You should see a doctor very soon to choose the correct form of treatment. Moderate sprains can be treated with non-surgical treatments. You may have crutches or an immobilization brace to keep the joint stable. Adhere to the RICE method while at home. Although rare, occasionally surgical treatment is necessary. During the procedure, any fragments of bone or cartilage are removed and the torn ligament is repaired. You may also have physical therapy to build up the muscle around the joint, prevent stiffness, and promote healing. Treatment can be paired with an over-the-counter pain medication like ibuprofen or naproxen to alleviate pain and swelling. Mild sprains can take approximately two weeks to heal, while moderate to severe sprains can take six to 12 weeks. Dr. Dickerson is an accomplished podiatrist and ankle surgeon, so he has a deep understanding of ankle injuries. He will help you develop a custom treatment plan to recoup as much movement and functionality as possible. 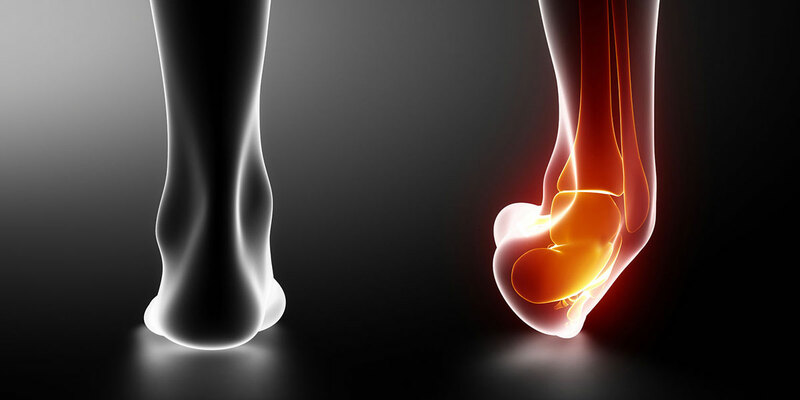 Learn more about Foot and Ankle Injuries. Thanks for helping me understand that a bruised and swelling sprained ankle is already in the second degree. With that in mind, I will take my child to a doctor first thing tomorrow because it is how his foot looks like now. He just got injured because he was not able to calculate his move well when he tried a trick in skateboarding. I totally agree when you said that you can easily get injured by stepping off a curb badly. This is the reason why my sister has a problem with her ankle. She was jogging this morning when she did not notice the curb that made her trip. Now, she might have to undergo a surgery since it seems severe. I’m sorry to hear about your sister. I hope she recovered well. I wanted to thank you for helping me learn more about different types of ankle sprains. It’s good to know that with a third degree sprain you should see a doctor to learn what treatment you need. I’m kind of interested to learn if the treatment you get could depend on how recent the sprain is or if it just depends on how severe it is. Ankle sprains should resolve over a 2 month period of time. If the pain becomes more chronic, then you should be evaluated in our office. Treatment does depend on severity of the ankle sprain. It is best to evaluate an ankle sprain right away to rule out a fracture or severe ligament tear. I do play a lot of basketball and I always try to stay safe while playing, but I will turn an ankle every now and then. As you said, there are different degrees of ankle sprains depending on their severity. I’m sure that I’ve only had first degree ones in the past as I fully recovered. Now if it were any worse, then I would for sure see about seeking help from a doctor. Thanks for this blog regrading medical care of sprains. I find it quite useful. This is very informative. There are many types of sprains and it need proper first aid for handling such sprains. A proper crepe bandage must be used to support and ease the muscles for quick recovery. I was unaware that second-degree ankle sprains usually imply a minor tear of a ligament. I think that getting back to work may be hard after an injury, so it’s important to work with a business that can offer useful treatments. If I were to suffer an injury that kept me from going to work, I would make sure to contact the best company around that can offer me the help I need. Here is a picture of me skiing on Sitka at Park City Mountain Resort. This was my 10th day of skiing, exactly 7 months since my second knee replacement. Thanks very much!